Are you afraid that someone is going to break into your home and steal what is rightfully yours? If so, then we urge you to make the call to our team today so we can provide you with the very best in lock-related solutions. Simply put, when you need someone to change your lock for you, make the call to our team so we can provide you with the help that you need at a reasonable rate. Whether someone has broken into your home, vehicle, or commercial property in the past or you are afraid that someone is going to break into your property one day, do not worry any longer as we can provide you with the help that you need. Why wait another minute? Call now and allow our locksmith in pooler, GA to change your locks for you now! Once you give us a call, we will rush to your location, to which we will promptly provide you with the solutions needed to fully secure your property. And the best part? 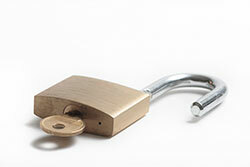 We will change your lock and replace it with the most secure locks in the industry at a fraction of our competition. In no time, you will have the luxury of having locks that are strong and secure, so what are you waiting for? Make the call to our locksmith in pooler, Georgia and let us help you today!